I've started an Eldar Saim Hann theme army just about a year ago and steadily have increased in numbers. I'm a super slow painter and my wallet is draining up faster than my hands can paint! The apocalypse splash released really helped saved a lot and ironically, it was only recently that I bought jetbikes with the wind-raider host released! I'm really a hobbyist first and player second, and would probably post more stuffs on hobby than battle reports. I've ambition to collect an eldar army worthy of an apocalypse magnitude! Comments are welcome and thank you for viewing. 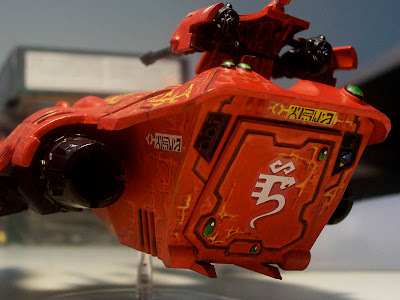 my god..... Quite possibly the most beautiful paintjob ive ever seen on a model. OMG...! You are my HERO! i'm just starting to play and i want to run a SaimHann style army too. thanks for sharing!